The PR 48 contains a large vulcanized double shock-mounted diaphragm element, impervious to external vibration and noise. The PR 48 also has our best rear noise rejection, and excellent (148 db) SPL handling; all housed in a solid flat black emron steel body with red screens on an adjustable swivel-mount. Heil adds passive internal low pass filters to create rises in the frequencies where the kick drums sound benefits most. The kick beater is also represented like never before in the mix through this filtering. 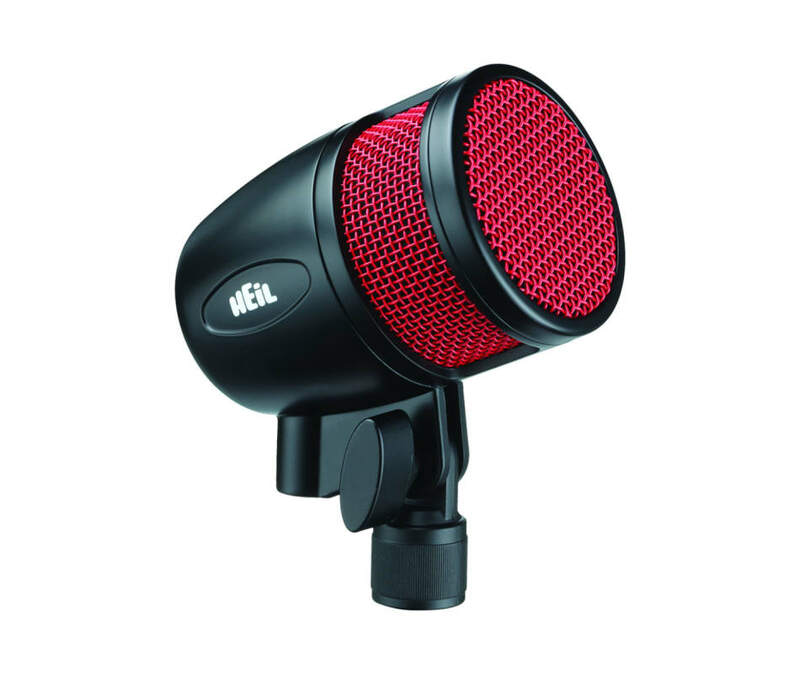 This is a great rock kick drum mic, but also is at home serving country, jazz, funk, blues and metal drummers with a kick drum sound that has no equal. While some kick drum microphones judge themselves by how well they can handle EQ; how about a kick drum mic that sounds fantastic with NO EQ! As a finishing touch, the PR 48 has a 45 degree angle XLR plug to allow for easier XLR connecting during setup.